Israeli and European researchers say their collaborative research has unraveled the metastatic mechanism of melanoma, the most aggressive of all skin cancers. According to a paper published August 22 in the journal Nature Cell Biology, the scientists discovered that before spreading to other organs, a melanoma tumor sends out tiny vesicles containing molecules of microRNA. These cause morphological (structural) changes in the skin’s dermis layer in preparation for receiving and transporting the cancer cells. “The threat of melanoma is not in the initial tumor that appears on the skin, but rather in its metastasis — in the tumor cells sent off to colonize in vital organs like the brain, lungs, liver and bones,” said research leader Dr. Carmit Levy of the department of human molecular genetics and biochemistry at Tel Aviv University’s Sackler School of Medicine. 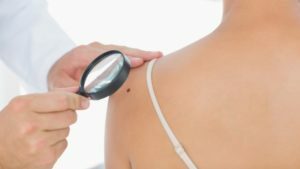 Melanoma, the most aggressive and lethal type of skin cancer, kills one person every 52 minutes according to data from the Skin Cancer Foundation, and the number of diagnosed cases has been on the rise for the past three decades. Despite a range of therapies developed over the years, there is still no full cure for this life-threatening disease. The new study proposes novel and effective methods for diagnosis and prevention. The researchers began by examining pathology samples taken from melanoma patients before the invasive stage. The group was able to discover and block a central mechanism in the metastasis of melanoma. Then they looked for substances that could intervene and block the process in its earliest stages. They found two such chemicals: one that inhibits the delivery of the vesicles from the melanoma tumor to the dermis; and another that prevents the morphological changes in the dermis even after the arrival of the vesicles. Both chemicals were tested successfully in the lab, and may serve as promising candidates for future drugs. In addition, the changes in the dermis, as well as the vesicles themselves, can be used as powerful indicators for early diagnosis of melanoma. According to Levy, scientists have known for years that melanoma forms in the outer layer of the skin, the epidermis. At this early stage, the cancer cannot send out colonizing cancer cells because it has no access to blood vessels — the highways that carry the cells to other parts of the body. So how does the tumor make contact with the abundant blood vessels running through the dermis? “We found that even before the cancer itself invades the dermis, it sends out tiny vesicles containing molecules of microRNA,” Levy explained. “These induce the morphological changes in the dermis in preparation for receiving and transporting the cancer cells. 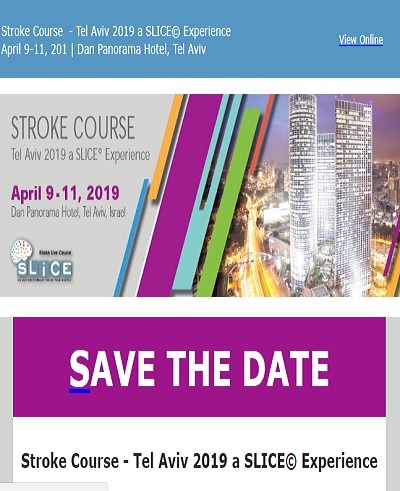 The TAU group worked in close collaboration with Prof. Jörg D. Hoheisel and Laureen Sander at the German Cancer Research Center in Germany, Dr. Shoshi Greenberger at the Sheba Medical Center at Tel HaShomer, Israel, and Dr. Ronen Brenner at the Wolfson Medical Center in Holon, Israel. Lab research was led by Dr. Shani Dror of Levy’s research group. Other team members were from Université Paris, Massachusetts General Hospital, the Technion-Israel Institute of Technology and the Hebrew University of Jerusalem.